With a front opening, you don't need to bend over as much to load and empty your laundry. This massive washer washes up to 10 kg per load, which is great for larger cycles. It features an ironing option and has a timer delay function. Any family with an overloaded schedule will love this chores companion. The quick wash setting enables you to quickly clean slightly soiled clothes. Thanks to the energy efficient cycle option, this Fisher & Paykel washer will still provide you with beautifully clean clothes while using less energy and water. 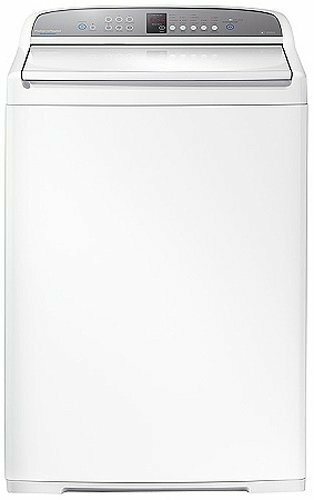 The Fisher & Paykel WA1068G1 Washing Machine was added to the Washing Machines category in June 2016. The lowest price GetPrice has found for the Fisher & Paykel WA1068G1 Washing Machine in Australia is $950.00 from Appliance Central. Other merchants who stock it are Appliance Central, Billy Guyatts, R.T.Edwards QLD, Appliances Online.